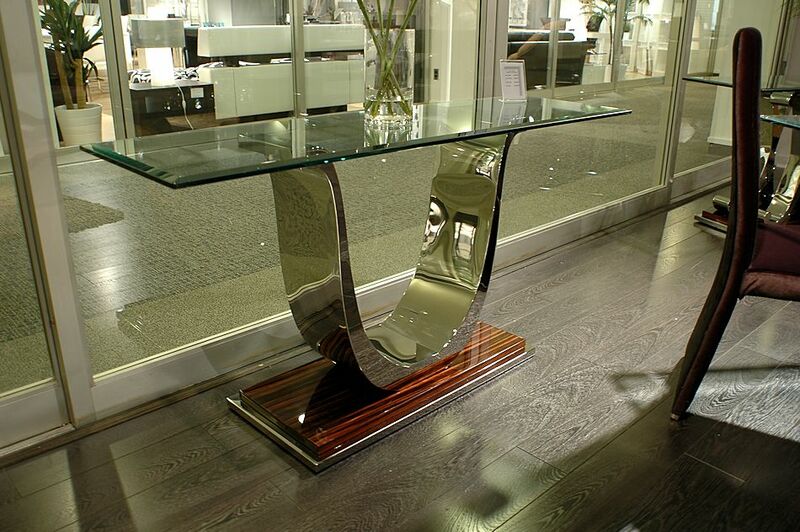 The console table offers a polished stainless steel base with Ebony wood high gloss finish. Quality made in Asia using the finest materials. 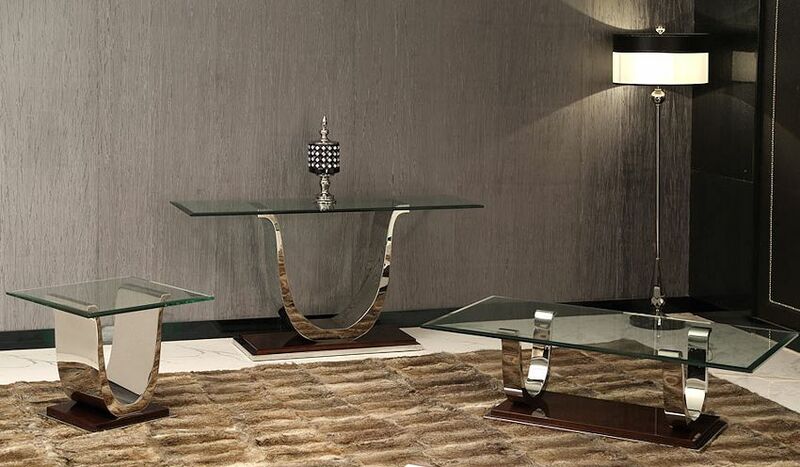 Tables with base in polished stainless steel with Maple or Ebony wood. 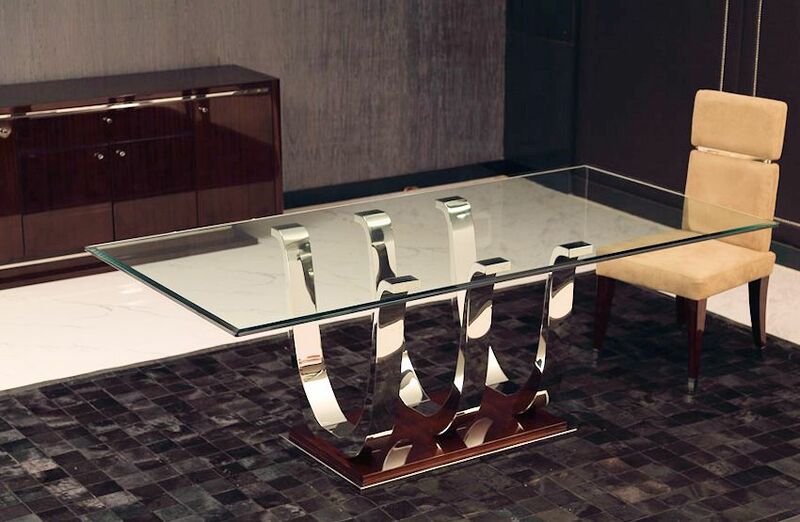 DT-526 dining table base in polished stainless steel with Maple or Ebony wood. Special order. Quality made in Asia. Request info.